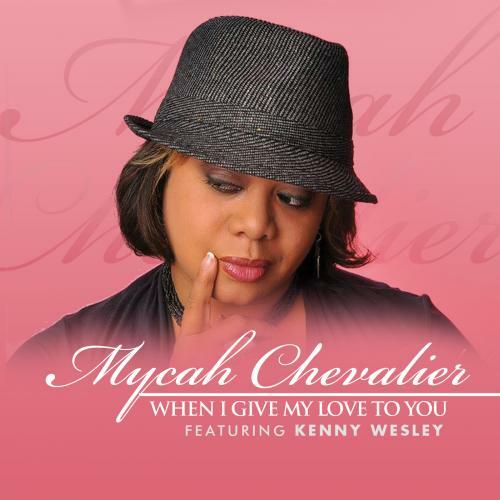 SoulTracks First Listen: Mycah Chevalier and Kenny Wesley will "Give My Love To You"
Mycah Chevalier is one terrific singer. Her rich alto voice makes just about anything sound like a classic. So you can imagine what it is like when she actually sings a classic. That's just what she has just released with her new version of the Michael Franks gem, "When I Give My Love To You." She teams with another SoulTracks fave, the "Soulful Nerd" Kenny Wesley. Together they turn an old favorite into a new favorite. Check out Mycah and Kenny on "When I Give My Love To You" and tell us what you think! "When I Give My Love To You"